-Android Lollipop: интелигентен и напреднал, по-умен и по-бърз от повечето настолни компютри. -Извличайте данни в реално време, в лесен за четене формат, което ви позволява да разберете каквито и да било проблеми с компютъра на вашия автомобил. -Свържете медията към всяко Bluetooth устройство и вече имате достъп до музика, споделяне на видеоклипове и разговори без ръце. -Вграденият радио тунер с активиран RDS ви дава станции 18FM & 12AM, както и актуализации на живо. -Насладете се на пълното DVD изживяване от комфорта на собствената си кола. -Портът за SD карта позволява допълнителен достъп до вашите лични файлове и информация, за лесен обмен. -Външният DVR ви помага да записвате пътуванията си, като в крайна сметка подобрявате безопасността и сигурността по натоварените ни пътища. 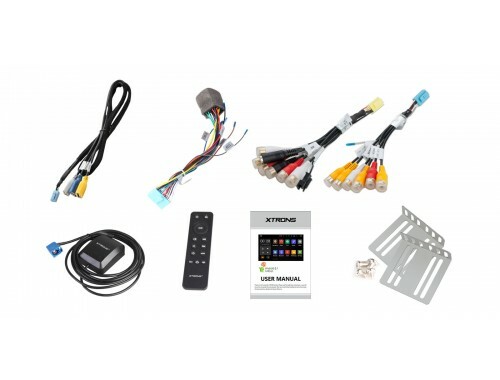 Необходим е допълнителен DVR. -"Огледайте" смартфона си на устройството и управлявайте всички функции за развлечение. Играйте игри, гледайте видеоклипове и се наслаждавайте. -Лицензирани карти Kudos за модели на Windows CE. Google Maps, iGo, Sygic са налични за изтегляне на модели Android, така че никога да не се губите. -Многофункционалният екран осигурява забележителна работа и интуиция. -Почувствайте увереност при каране на заден ход. Обратните камери ви помагат да видите ясно какво стои зад вас. Необходима е допълнителна камера. -Четири-ядрените процесори (32-битов CPU) генерират голяма мощност и производителност от сърцето на устройството. -Високата разделителна способност осигурява ясна разделителна способност, което увеличава максимално удоволствието от шофирането в автомобила. -Вграденият Wi-Fi позволява по-бързи скорости на изтегляне на LTE и по-голям достъп до интернет, където и да сте. -Вграден USB порт за качване, изтегляне и свързване на музика, файлове и информация в движение. 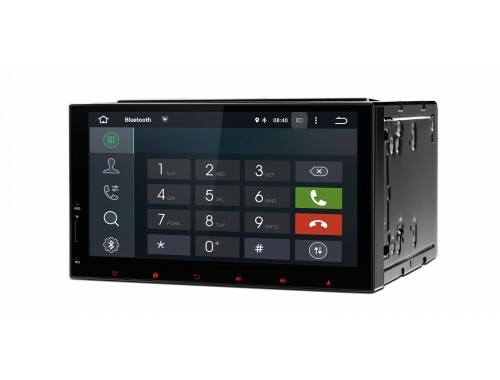 Optimal 6.95" touch screen, responsive touch panel and luxurious piano black appearance make TD703A docked seamless into your car's dashboard. Android 5.1 64-bit is the most advanced, intelligent, and fastest operating system in the car stereo industry. You can enjoy a faster, smoother and more powerful computing experience than ever. Support for 64-bit games and Apps like Chrome, Gmail, Battlefield 4 and more, brings desktop class CPU to car stereo. Adjust the volume, brightness and EQ on the home screen easily and conveniently. One button acceleration helps you clear the cache and speed up the performance. 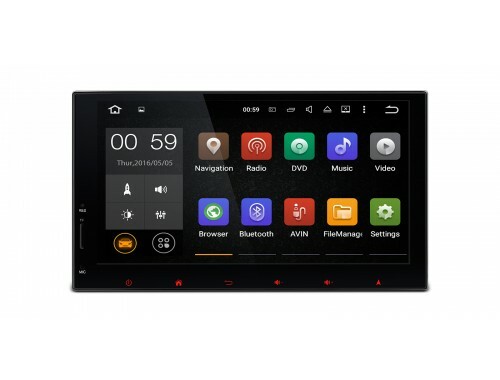 •Why Choose XTRONS Android 5.1 Car Stereo? 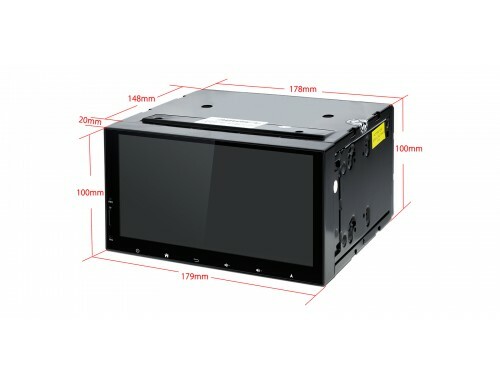 TD703A is powered by the 32-bit quad code CPU processor. You will experience up to 70 percent faster CPU performance, and up to 90 percent faster GPU performance for all your favorite graphics-intensive games and apps. The 16G ROM allows you to download your favorite apps such as navigation, games, videos and much more! Equipped with the professional and technical grade core-board, the TD703A offers smooth and fast operating features. 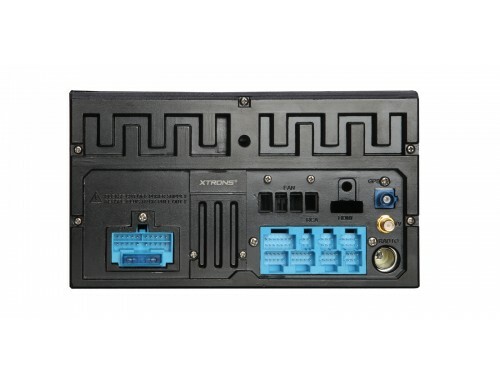 XTRONS core-board affixed with 3 screws for increased stability and easy to removal, while others welded on the main board which has very complex layout and hard to remove. Get your friends together and enjoy all the entertainment and features simultaneously on your TD703A via the RCA output function on other monitors. TD703A: Everything can be shared on the other monitors. Others: Nothing can be shared on the other monitors. Choose various colored buttons to match different needs. The random changing button schemes create a vibrant and dynamic visual experience. Screen mirroring takes the things you want to do with your smartphone while driving and puts them right on your TD703A. You can read messages, watch videos, play exciting games and listen to music, all in a way that allows you to stay focused on the road. Just connect your phone and go. With OBD2 function available on this unit, you can retrieve realtime data and trouble codes from your vehicles computer. All the data from your vehicle is presented in an easy to read format. Note: OBD2 isn't included (XTRONS OBD02 is compatible). Need it, inquire with us now! With the DAB+ tuner ready on this unit, you just have to connect a USB radio tuner receiver stick via USB port, then you can enjoy a better sound quality and stronger digital audio broadcasting on this unit. DAB+ radio tuner receiver (Optional), XTRONS USBDAB01 is compatible. The same touch screen as in your smartphone, manipulate photos, read books with ease, drag your favorite icons freely and allocate all your frequently used apps all in one folder for your convenience. The User Interface enables a driver to operate the unit easily and safely while driving. The practical home screen layout provides easy to read information on currently playing files and allows one-touch changes. Choose from the preset 5 dynamic themes or 17 static themes to suit your style best. You can also customize the themes according to your own preference. Enjoy high-fidelity audio files via USB & SD card, get a clear view of the song information or choose your favorite songs in the USB & SD card by a gentle sliding on the screen. With a 6.95" HD TFT digital screen, a variety of video formats in your USB & SD card or even YouTube and more are compatible with this unit and offer amazing visual effects. Supports up to 1920*1080 pixels (1080P) full HD resolution, and compatible with also 1360*768 (768P), 1280*720 (720P), 1024*576 (576P) and the lower definition resolution video files. TD703A has faster LTE download speeds with the built-in WiFi. With external 3G Dongle, you can also roam in the Internet in more places. 3G Dongle (Optional, XTRONS 3GDONG008 is compatible), need it? inquire with us now or go to the Xtrons website! Take control of the music safely and concentrate on the road ahead. This unit can work with vehicles with analog steering wheel control. Supports various Android navigation software including IGO8, Google and more. Your journey will no longer be bothered by the nightmare of getting lost. Please note that this unit doesn't come with a GPS map and the navigation software has to be downloaded from the Google Play store. Access phonebook. call logs, search contacts information with name or number, make hands free calls, automatic Bluetooth connection, custom pairing code and listen to the Bluetooth music. In order to go harmony with the whole design of TD703A, we have taken into account of every detail. 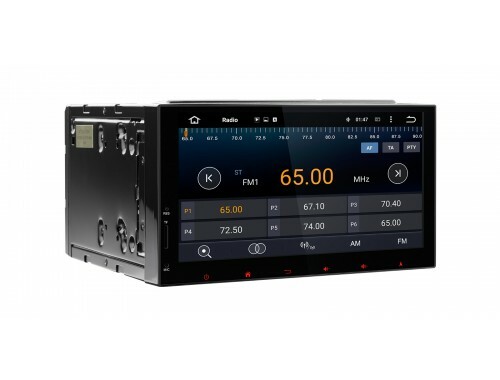 Customized connector design, car standard GPS interface, clear connector icons, piano black appearance and XTRONS logos, all of these make this unit look and feel luxurious. Piano Black Appearance: luxurious & appealing. Customized Connector: This enables you to plug in the cables simply. Clear Connector Icons: This design enables you to plug in the cables simply and quickly. Car Standard GPS Interface: Compatible with your car well. High-quality Cables & Labels: For durableness and easy installation. What will happen for your car stereo if your car's interior temperature reach up to 60 Degrees Celcius? In most cases, the car stereo will crash in such a high temperature. But XTRONS TD703A with its efficient heat dissipation and cooling fan will keep it in a stable temperature and allow work smoothly. Additional heat will be exhausted via the 8mm thickened aluminum heat sink. Optional Accessories to make the stereo better suited to your needs. 1. Browse on the Internet with ease with 3G (Optional). 2. OBD02 (Optional) helps you make the OBD2 function available on this unit, thus you can diagnose your car's status on XTRONS TD703A. 3. External DVR (Optional) helps you record your journey on the road. 4. External Microphone (Optional) makes the hands free Bluetooth easier and safer. 5. Reversing camera (Optional) ensures the safety of your driving. Supports NTSC / PAL signal input. 6. External keyboard (Optional) makes the input of information on this car stereo easily and conveniently. 7. DAB+ tuner (Optional) helps you get better sound quality and stronger receiving digital audio broadcasting, thus you can enjoy the best radio programme without distortion. Choose from the preset 87 car logos or customize the car logos according to your own preference. Simplified Chinese, Traditional Chinese, Japanese, English, Portuguese, Italian, French, Spanish, German, Russian, Dutch, Polish and over 70 others.